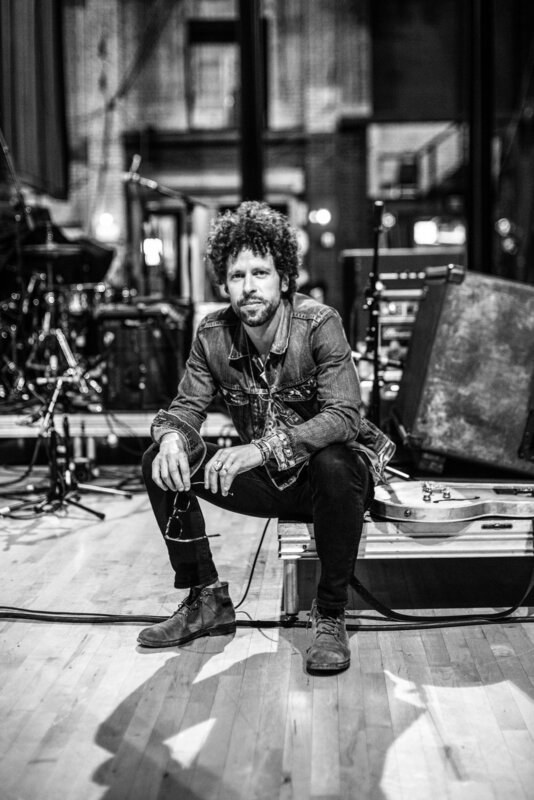 I sat down with drummer Johnny Radelat before he took the stage with Gary Clark Jr. and the rest of the band at Cincinnati’s Taft Theatre and asked him a few questions. Aaron Paschal: It’s great seeing you again! I appreciate you taking the time to sit down and talk with me and CincyMusic! As a musician and drummer to be specific, do you notice that everything in life has some type of rhythm or pattern to it? AP: I read somewhere that you’re a big Sheila E. fan; can you tell us a little bit about that? JR: There’s so many female drummers and I seem to like all of the good ones! Shelia E. is one of my favorite drummers period and she’s actually going to be on Gary Clark Jr.’s new album when it drops so that’s something to be excited about. AP: I also heard that Patrick Ewing is one of your favorite NBA players. Patrick Ewing? What’s up with that? JR: I grew up in New Jersey so I’m a Knick’s fan and when I was coming up Patrick Ewing was the man so yeah, he’s my favorite player. AP: How did you come about linking up with Gary Clark Jr. and becoming part of his band? JR: I knew Gary from playing local gigs in and around Austin, Texas. We all played together so for the first national tour we went on we all got together and had a thirty minute rehearsal and everything just clicked right off the bat. We just have this natural chemistry and we all get along really well which is about 60% of what it takes for any band to make it. And the way Gary approaches performing really keeps us on our toes because we are never really sure where he’s going to take it on any particular song throughout the set. Even though we pretty much perform the same songs night after night and know what’s coming up next on the set list Gary plays what he feels and we all vibe off of the crowd so the songs are played differently from show to show. AP: You guys have toured all over the place. Is there a certain city or venue that stands out to you? JR: There are certain cities that I love performing in but as far as the venue and setting I’d have to say that Red Rocks Amphitheater in Denver, CO is always great. We just did our first headliner there and it was amazing! That venue just has that natural and spiritual energy there. It’s beyond the musical history of the venue; Red Rocks is just amazing. AP: I know you stay busy touring with Gary Clark Jr. but what other artists or projects are you involved with when time permits? JR: I toured with Robert Finley a couple of months ago and will be doing some on and off the road work with him in the near future. He is a stable artist for Dan Aurbachs (Black Keys) label. Dan produced and co-wrote on his record “Goin’ Platinum”… it’s a great album! Robert Finley has had a very interesting journey to get where he is now and I encourage you guys to check him out. AP: If you could jam with any artists “dead or alive” who would you like to sit in with? JR: “Man!” (Laughs and pauses for a while.) Well I’d have to play with Booker T. “who is one of my absolute favorites.” His style and stuff he did with Stax Records is one of my favorites of all time. Of course Bob Marley is one of the artists, I love the way he ran his band. This may sound kind of odd to you but I’d also love to jam with Iggy Pop and The Stooges due to their drum arrangements. AP: Okay, last question; what’s the last album you listened to all the way through and what’s in your current rotation? JR: Last night I listened to Pink Floyd’s - Animals album all the way through. I’ve also been on a Van Morrison kick lately. My family is Cuban and now there’s a whole collection of pre 1950’s Cuban music that’s available that I’ve been listening to and soaking in lately. Up until now none of that music was available in digital format so you had to have it on vinyl or cassette. Harlem River Drive is a rare album that’s nice and I’ve been listening to. It’s by Eddie Palmieri's super group, which was the first to really merge black and Latin styles and musicians. I also caught up with Johnny after the concert and asked him what they thought about playing at the Taft Theatre. JR: We loved the old theatre venue and the very resonant onstage sound. We don’t usually play seated venues so when we started and saw that most of the floor was already standing in the aisles and ready to go it was a pleasant surprise. Very electric crowd for a mid-week show, Cincinnati definitely showed up! Johnny Radelat is the drummer for Gary Clark Jr., He got his start playing in reggae, R&B, soul, and Funk bands. I first photographed him at afropunk Brooklyn in August of 2017 and later got a chance to meet him and take his portrait after their performance at the inaugural Bourbon and Beyond in Louisville later that same year. If you’re lucky enough to catch a live performance or even watch a YouTube video of Gary Clark Jr. you’ll find it hard to miss Johnny Radelat jamming out on his Gretsch drums and Sabian cymbals! Tagged: music, blues, funk, concert, photographer, interview, cincinnati, concertphotographer, aaron paschal, ap2 photography, drummer, gary clark jr.